The second of five mega TBMs has started tunnelling under Sydney. 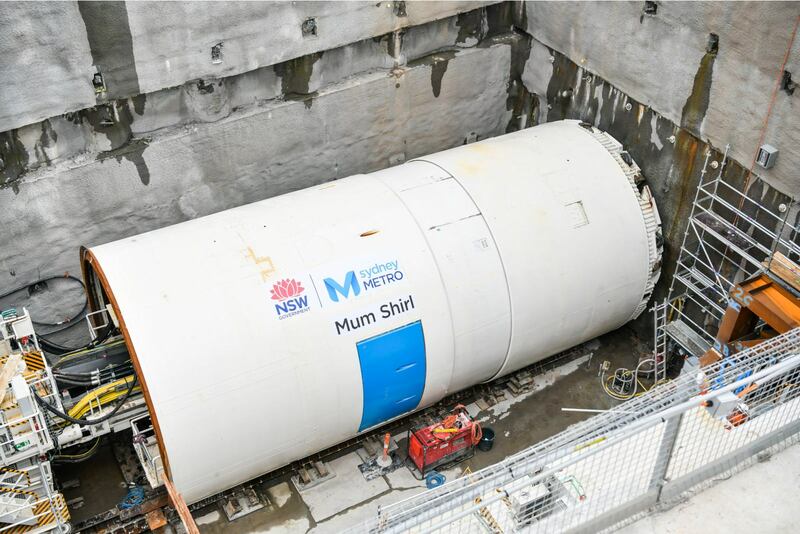 TBM Mum Shirl, specially designed to cut through sandstone and shale, has been launched at Marrickville to help deliver 31km of tunnels between Marrickville and Chatswood on Sydney Metro, extending Australia's biggest public transport project into the Sydney CBD. The Tunnel Boring Machine will tunnel an average of 120 metres a week, and it’s now working alongside TBM Nancy, which was launched three weeks ago. Mum Shirl was an Aboriginal woman who dedicated her life to her community, raising 60 foster children. A Wiradjuri woman, Mum Shirl was born Colleen Shirley Perry around 1924. She died in 1998. She was involved in establishing the Aboriginal Legal Service (1971), the Aboriginal Medical Service (1972), the Aboriginal Black Theatre, the Aboriginal Children's service, the Aboriginal Housing Company and the Detoxification Centre. She was made a Member of the Order of the British Empire in 1977 and received the Order of Australia in 1985.